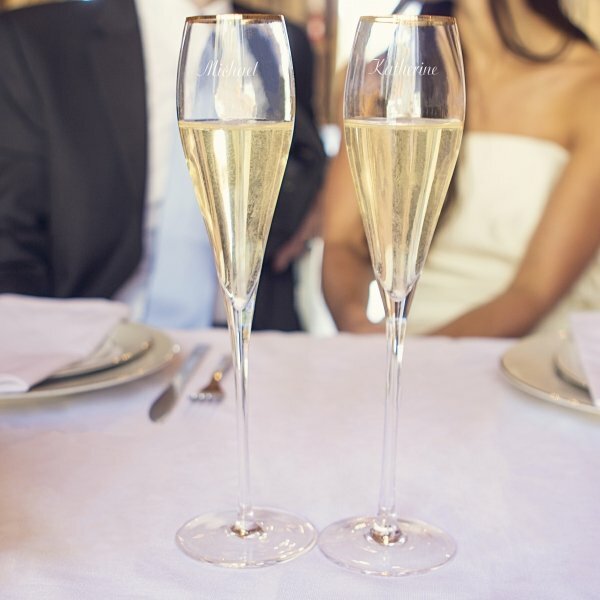 Choose the Personalized Gold Rim Champagne Flutes for the first toast of your wedding. 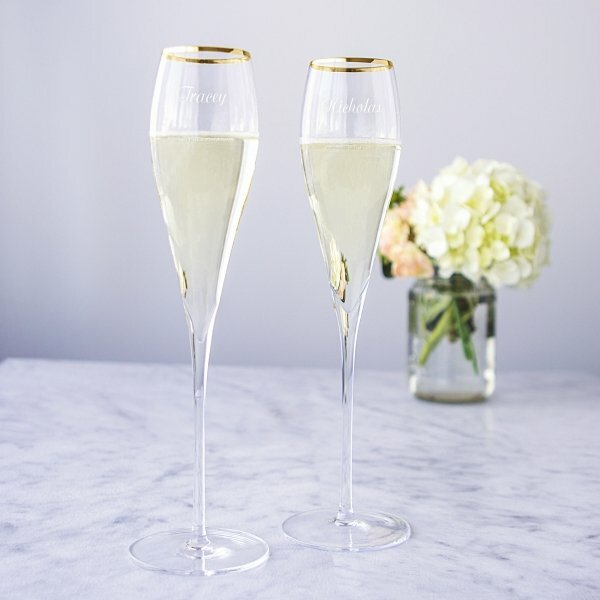 The gold personalized elegant pair of tall flutes is contemporary, romantic and classy. 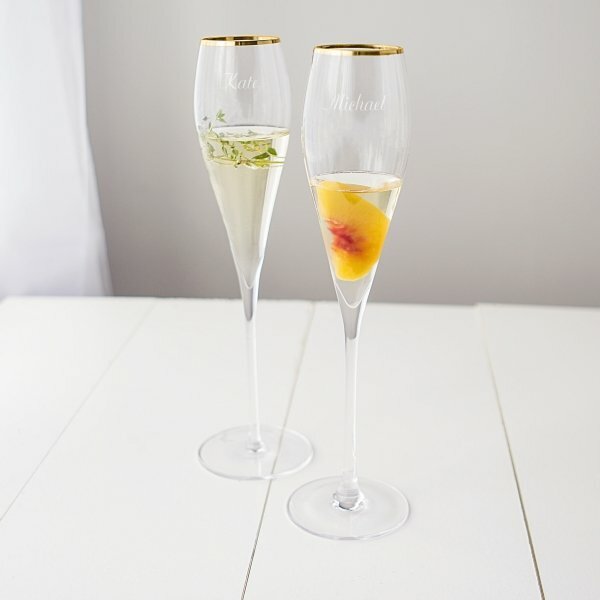 If modern designs please you, these gorgeous flutes may bring you great joy. 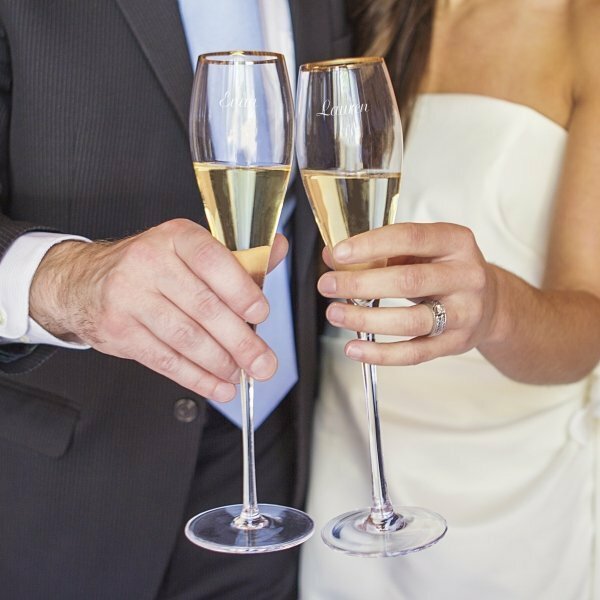 The sleek stems and bases are proportionately designed to be sturdy. 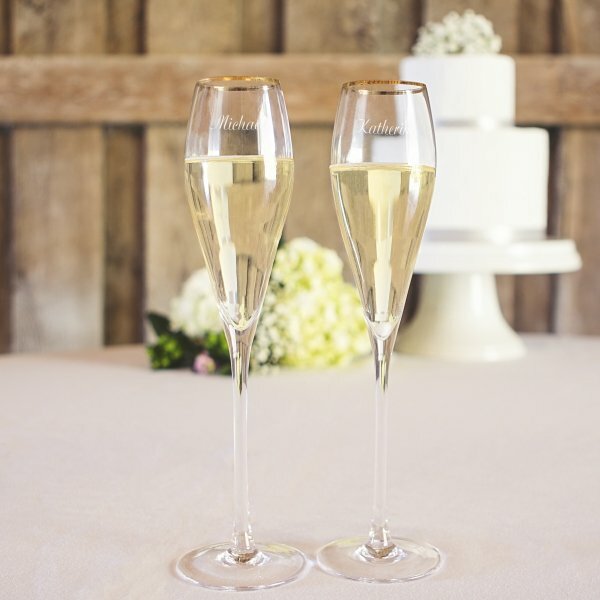 These stemware flutes can be a precious keepsake of your memorable day for years to come. 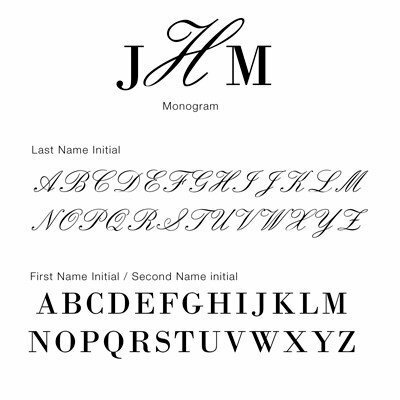 • Size: 3" Long x 3" Wide x 13.5". Holds 7 liquid oz. 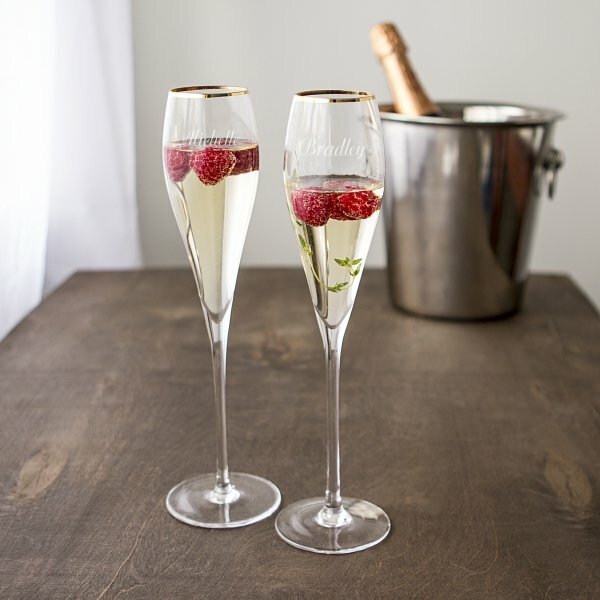 • Materials: Hand-blown glass is lead-free. 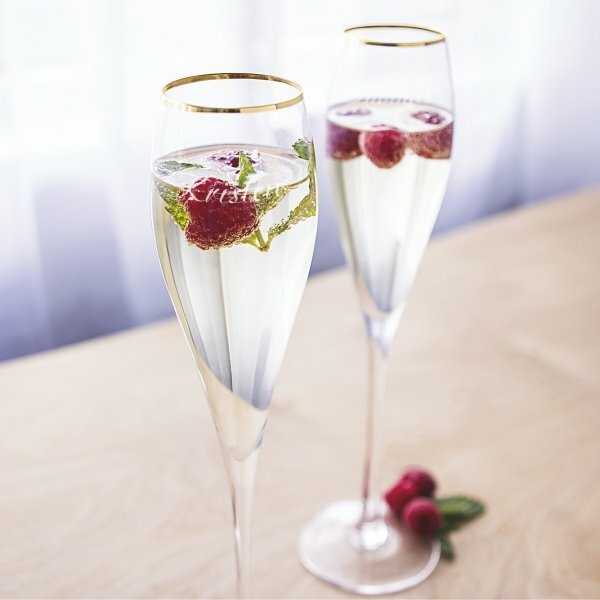 Natural variations may occur from one glass to another. 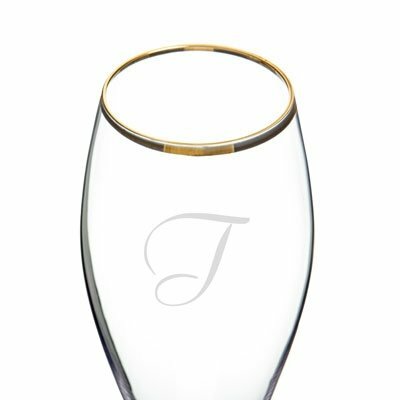 • Free Personalization: May be engraved with a single script initial, a monogram (max 3 characters) and a date (max 8 characters), or a custom line on each glass (max 16 characters on one line per glass) at no additional cost. Does this item come in silver rims?